With our cities under pressure from urban sprawl, there is growing emphasis on apartment living as an affordable solution for housing in inner and middle areas. Dr Josh Byrne, environmental scientist and Research Fellow with Curtin University and the CRC for Low Carbon Living, is on a mission to find out how we can increase housing density in Australia through livable, affordable and sustainable developments. So far Josh’s journey has seen him visit some of the most inspiring medium to high density housing projects in Australia that are leading the way forward. Now he is following a new project, WGV by LandCorp, right from the start to get a clear picture of what it takes to do density better. This episode showcases the innovative approaches to multi-residential housing that are being trialed at WGV, including the Gen Y Demonstration House by LandCorp, SHAC by Access Housing, and Australia’s first Baugruppen project. He demonstrates how the various projects are attempting to address housing affordability, sustainability and community participation. 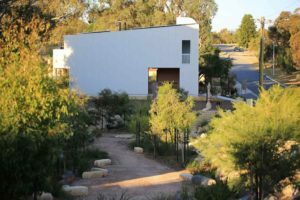 Density by Design is supported by the CRC for Low Carbon Living in partnership with Curtin University, LandCorp, City of Fremantle and Josh Byrne & Associates. The video series is produced by VAM Media and Directed by Brendan Hutchens. For more information on Density by Design visit the website and watch the episodes.